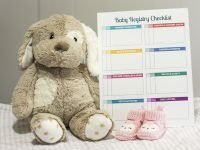 Looking for free labels for moving boxes? I’m sharing a free printable of some pretty labels today! When we were packing up our last house, I was determined to be super organized. I would be nine months pregnant on moving day and I was convinced we’d inevitably be loading the moving truck one minute and rushing to the hospital the next. So I set out to be as organized as possible, which included creating pretty labels for moving boxes. I designed them with the goal of our family being able to move everything into the correct rooms even if we were off having a baby while they moved our stuff. Thankfully, Chloe was not born early and gave us a couple weeks to settle into the new house. Even so, the moving box labels I made were incredibly helpful! 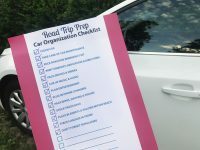 I love creating pretty organizational printables and I LOVE being able to share them with you! If you have a move coming up in the near future, be sure to download these printable labels for moving boxes. 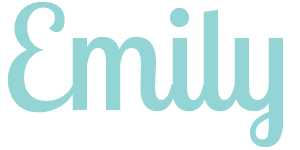 And if you know someone who is moving soon, please share these free printables with them! 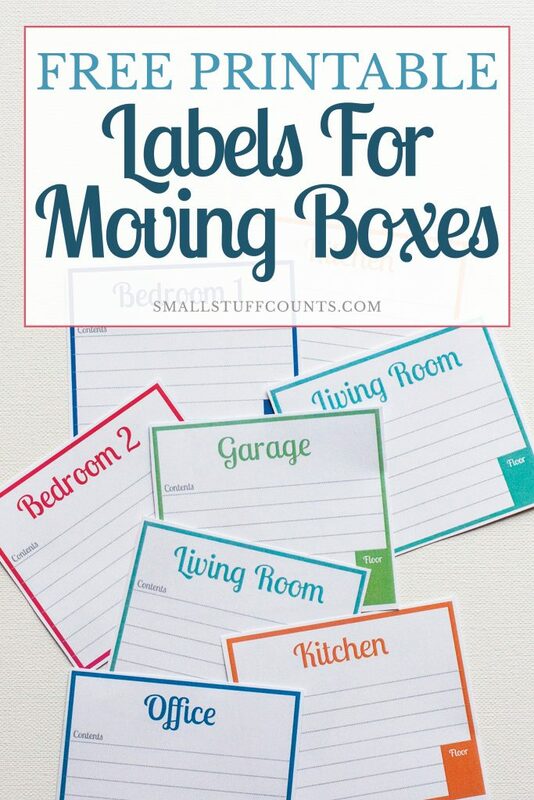 These labels are perfect for organizing your moving boxes. 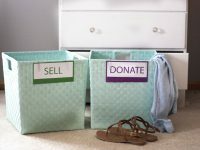 By labeling each box with the room it belongs in, your moving crew–whether volunteer or paid–will be able to quickly and easily get each box to the correct area of the house. The bottom corner of each label has room to write in which floor of the house that box goes to. This will ensure your moving crew will know which direction to head with each box. When we moved into our house, our family and friends split up into a couple groups. One group unloaded the truck and brought boxes inside the door. Then another group of runners delivered each box to the appropriate room. Since we had a lot of people running around and volunteers coming and going, it was really helpful for them to know at a glance which floor each room was located. Each label also has space to write the contents of each box as it is packed. Your future self will be so thankful you took the time to do this! With everything clearly labeled, it’s easy to locate things when you need them even if they haven’t been unpacked yet. 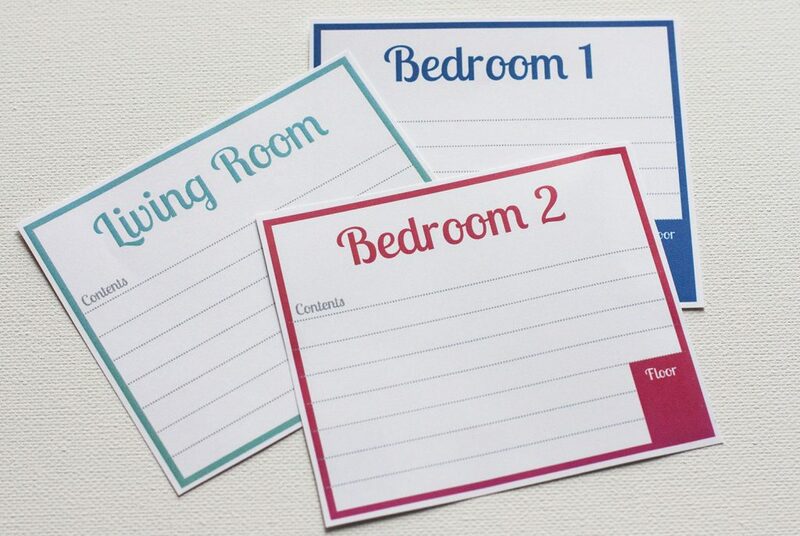 There are a few pages of blank labels at the end so you can write in any other rooms you need! Have a move coming up? 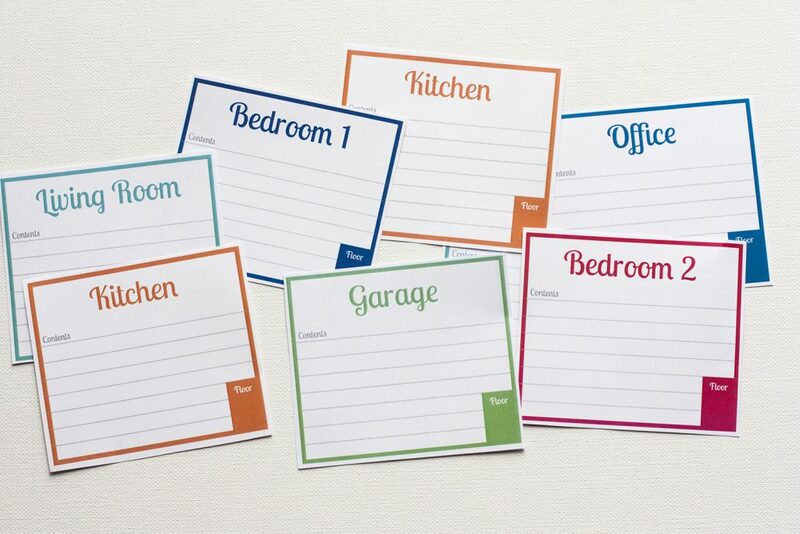 Download these free printable labels to organize all of your moving boxes. 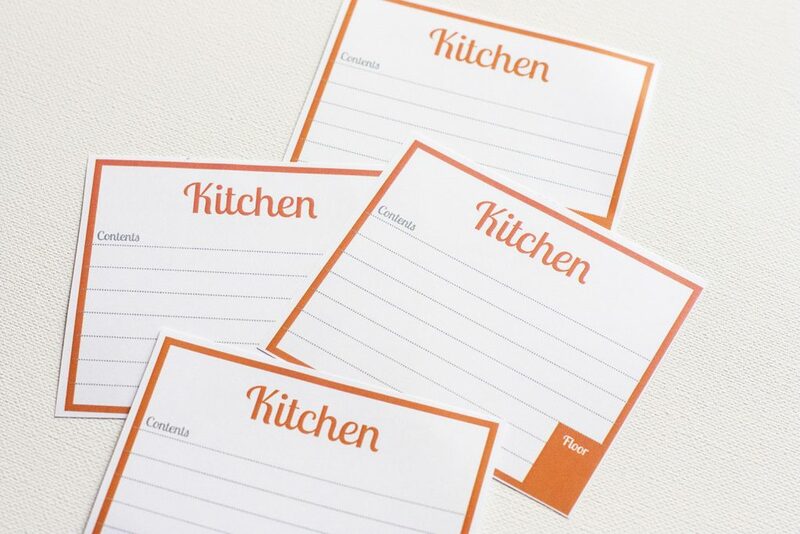 Subscribe for instant access to the printable labels plus weekly organizing tips. Hooray! 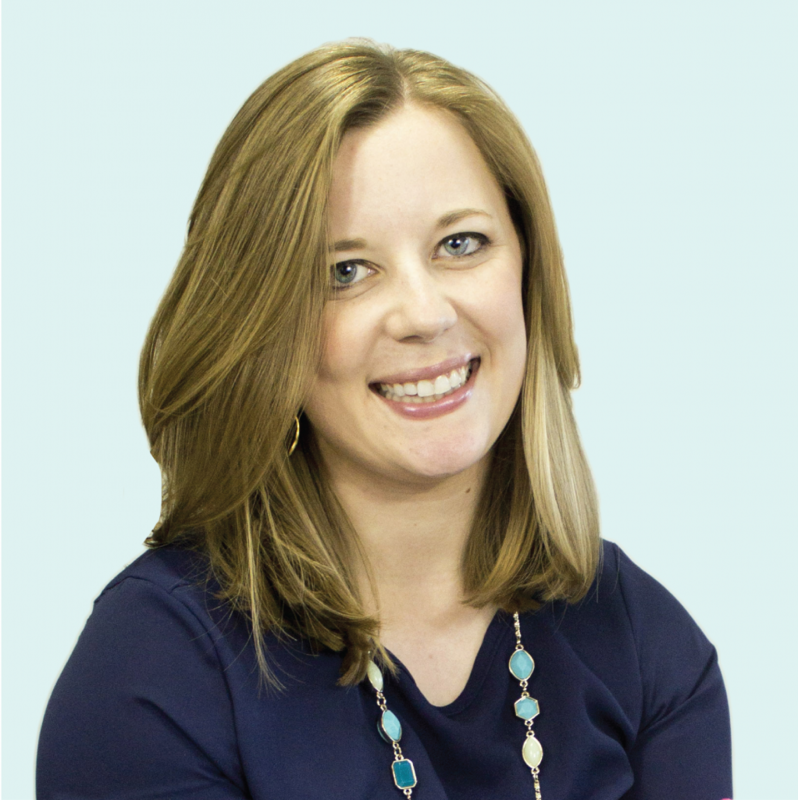 Your printable labels are on their way to your inbox. Happy packing! I printed mine on regular printer paper and taped them on the boxes with packing tape. 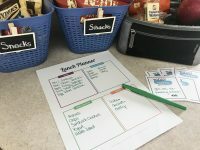 You can save the hassle of all that taping by printing these directly onto label paper – the room labels are compatible with these Avery labels. 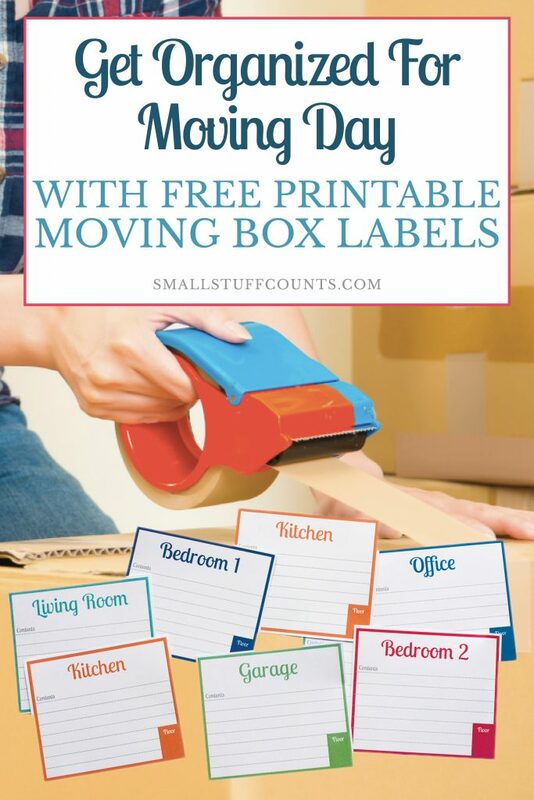 I hope these printable moving box labels are helpful to you! It’s amazing how some simple labels on all of your boxes can really make moving day go so much smoother. You’ll be glad you took the time to label everything!